If you told me a few years ago that I’d be sat here writing this blog post, I’d have laughed so hard. My life has gone full circle. Whilst studying at college, I applied for part-time job after part-time job and nowhere wanted me. It didn’t help that for every job, around 200+ people were applying. On a whim, I applied forMcDonald’s and after a few different rounds, I got the job. Admittedly, I didn’t think I’d stay there very long and I was a little embarrassed. It seems to have this stigma that really just isn’t true. During my time there, I learned more than I could have ever imagined and really grew as a person. It made me grow up fairly quickly and I met some wonderful people. People I worked with are now teachers, pilots, lawyers (If you’re reading this and I used to work with you, hi!). It is a job for multi-skilled people with a great attitude to life, who want to pursue a career in customer service and there are so many opportunities for growth. I’m here today to tell you about the amazing things that McDonald’s do to help our environment and make sure they’re being as eco-friendly as possible. 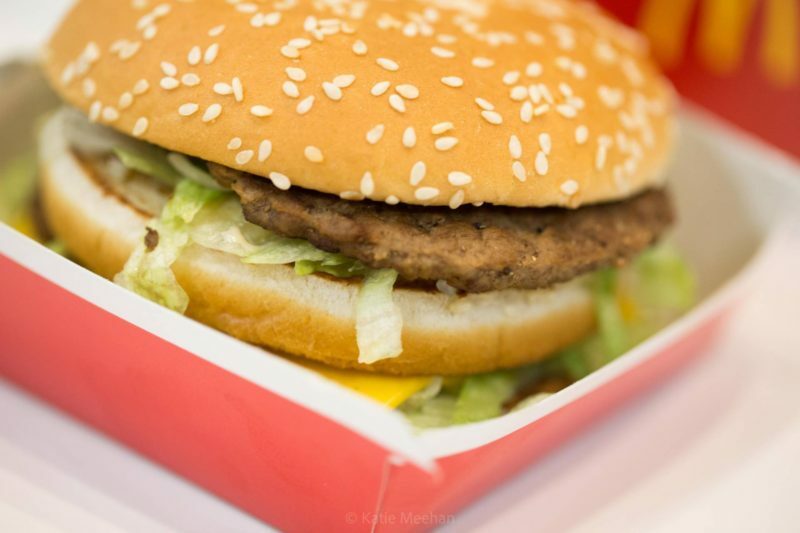 Here are 10 things you didn’t know about McDonald’s. 1. 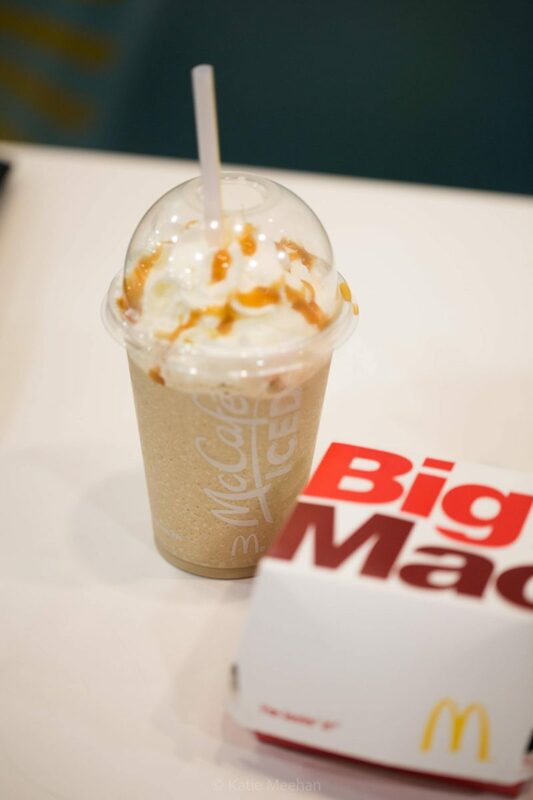 Around 70% of McDonald’s in the UK are Franchises. 2. McDonald’s is the world’s largest restaurant chain with more than 34,000 restaurants worldwide and employing 1.8million people. That’s a lot of jobs, with a lot of room to grow. McDonald’s gives huge opportunities to their crew members. 9 out of 10 restaurant managers started as crew; 1 in 5 franchisees started as crew, so the rewards for working hard and being dedicated to what you do can reap huge rewards, not something that you hear from many businesses anymore! 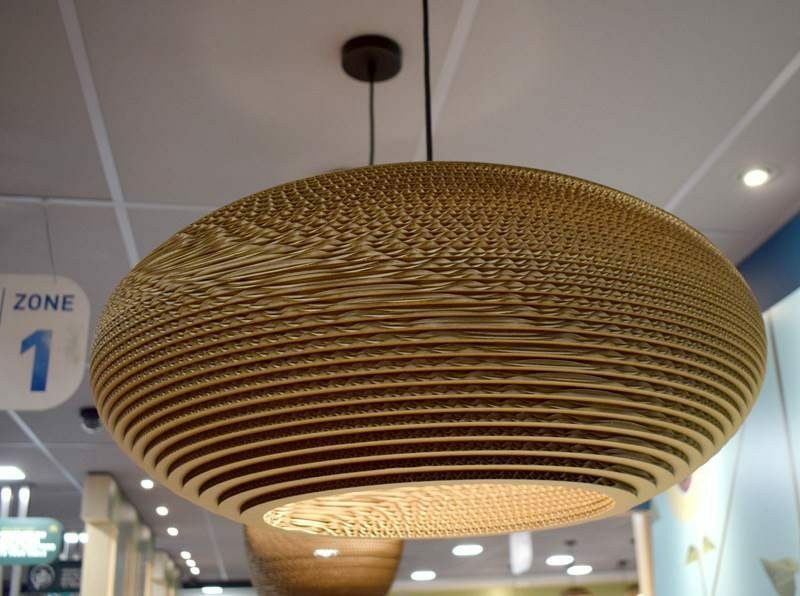 Image Credit: Here Come The Hoopers – A light fitting made from recycled fry boxes. 3. They are dedicated to recycling, even some of their decor is recycled! 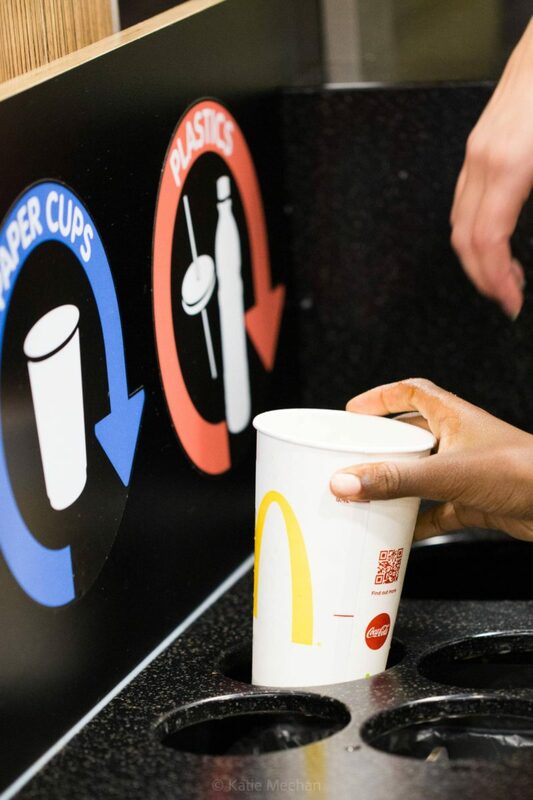 They have designated trash stations to help customers recycle their packaging, too. 4. 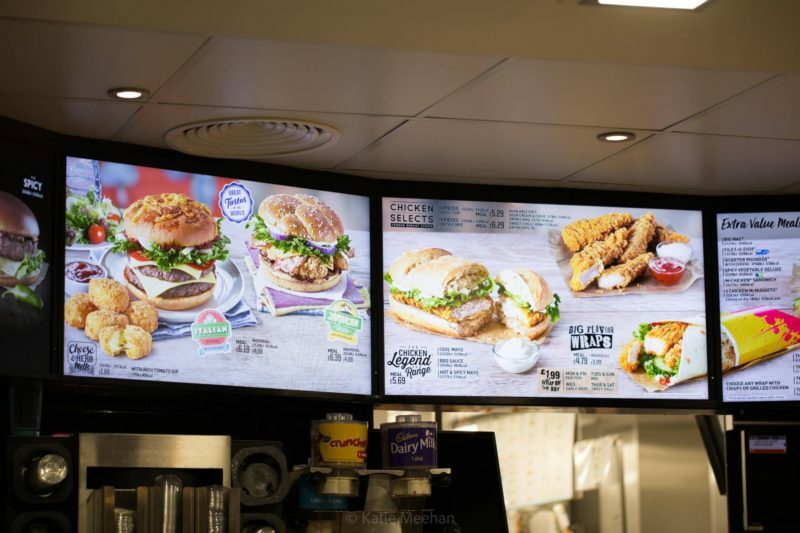 McDonald’s are a proud supporter of British agriculture, they source around 55% of the ingredients for their menu from 17,500 British and Irish farms. Pretty damn important, right? 5. The new Kiosks are not designed to wipe out jobs, in fact, they create more. 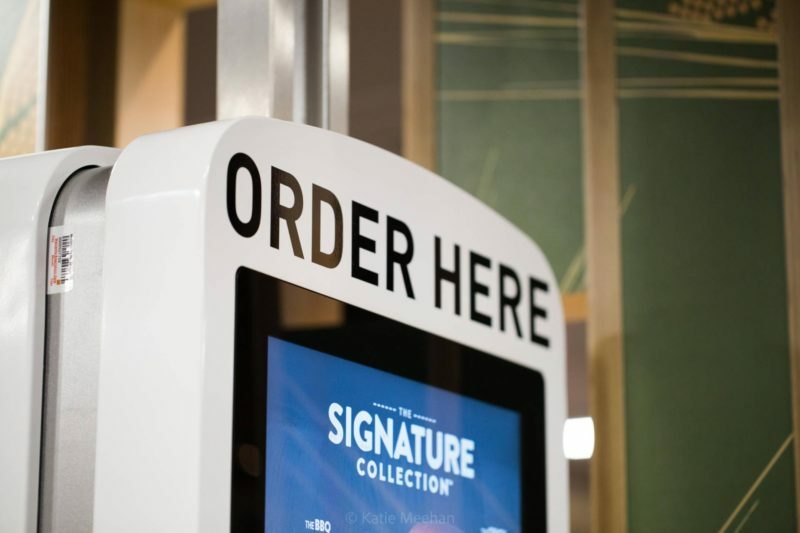 McDonald’s introduced kiosks to let their customers take longer deciding and browsing through the menu, as well as customising their food. It enables them to take their time and ensure they are getting the best experience. As well as this, it provides nutritional information on each product and when ordering a children’s meal, doesn’t show soda as an option anymore. So hopefully when children order, they will choose from either water, milk, a fruit shoot or orange juice. Promoting healthier options. A little bit of psychology is used too, the first drinks that are shown on the kiosk are the diet drinks, so hopefully more people choose the sugar-free alternative in their fizzy drinks. 6. Table service is now a thing! 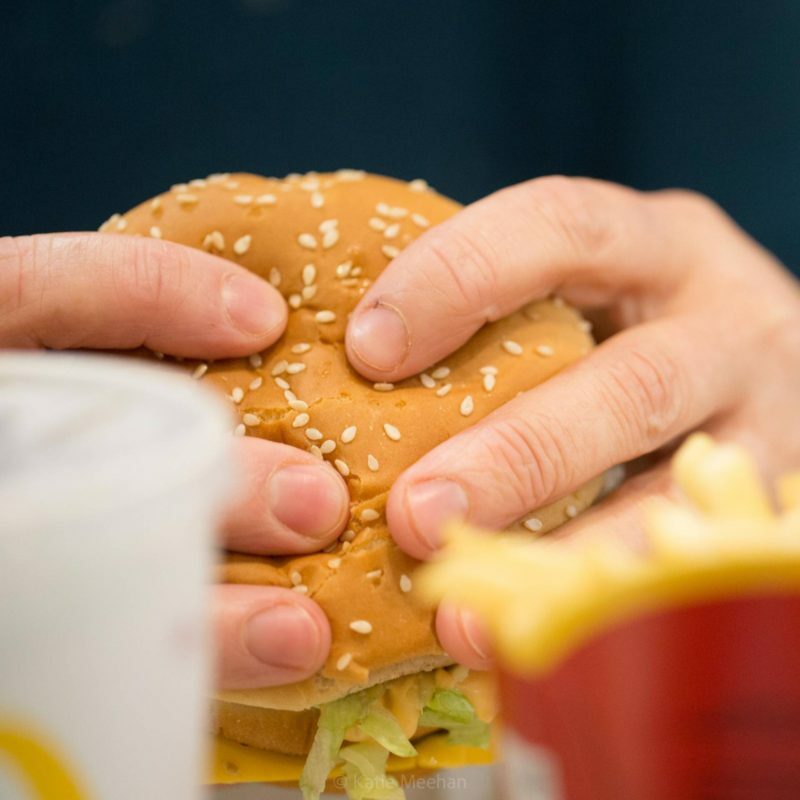 Long gone are the days where you struggle to carry your food, McDonald’s are now introducing table service, which is a godsend for parents and people who struggle to carry their food to their table. It’s simple, pick a zone (A or B) in a restaurant and take a seat! The servers even carry sauce in little pouches. Super efficient. 7. McDonald’s are slowly introducing wireless charging for smartphones and tablets, which now means… you never have to leave! Jokes aside, super helpful for everyone. My phone is always dying and I rely on it for almost everything, so it’s nice to know if I’m ever in trouble I can pop in, grab a bite to eat and recharge my phone’s battery as well as my own. 8. Food is now MADE TO ORDER. When I worked at McDonald’s many moons ago, food would sit for about ten minutes and then thrown away if not bought. The chicken was made to order, but the rest was not. Alas, this is no more. Focused on cutting down food waste (something I am VERY passionate about) and protecting the planet, it is ensuring that food is only cooked once it’s been ordered, so no more wastage. It’s also fresher too, which means a better burger every time. 10. McDonald’s are focused on becoming part of the community. From litter picking days to sponsoring local children’s football teams, Bill, a franchise owner from the North East of England is committed to helping a local children’s football team and even paid for his restaurant manager to go through University. So not only has the manager gained valuable experience and worked his way up from a crew member, he’s also got a first-class education that will stay with him for the rest of his life. Pretty amazing, right? 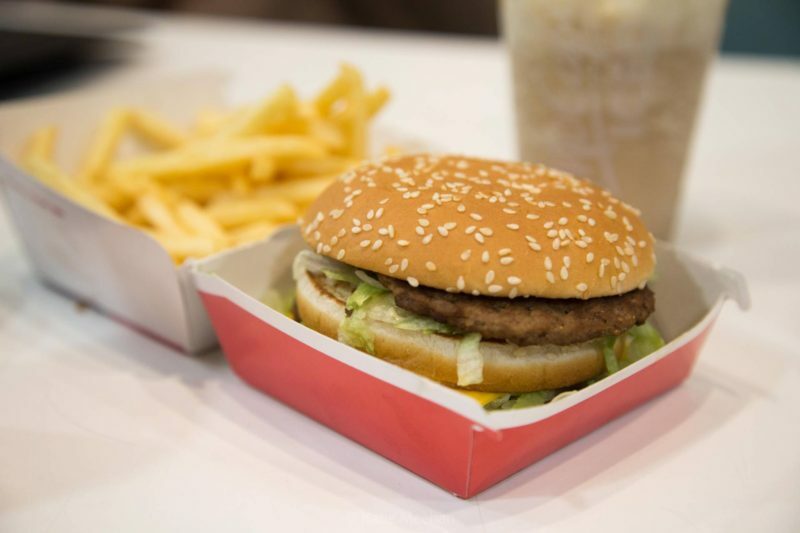 Whether you eat McDonald’s or not, they are improving their carbon footprint and focusing their efforts on being the best company they can be. Not for profit margins or personal gain, but to better our world. The petrol they use in their trucks has been made from the oil from the fries and they ensure that everything is kept clean. One thing you might think is, ‘well, surely they just made sure it was clean because they invited bloggers’. Wrong. When I worked there, everything was IMMACULATE constantly. From employee personal hygiene to the toilets, floors were mopped every 30 minutes and a deep clean was done every evening. No surface untouched. 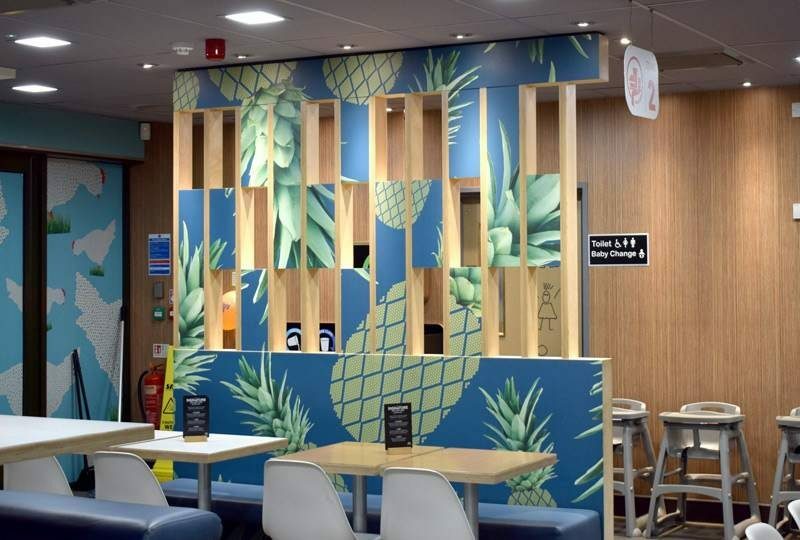 Bad rep and rumours aside, McDonald’s’ is clean and committed business, and for that? I commend them. It’s easy to shirk responsibility and pretend that’s not your job. Instead, they are tackling it head on and trying to make a positive change. 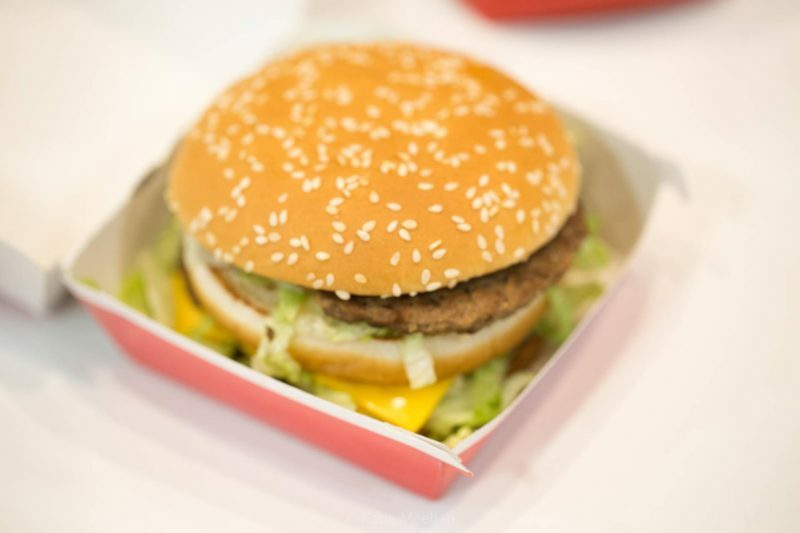 Now, you might be reading this thinking ‘Yeah, she was paid to write this, what a sellout.’ I decided to write this blog post to prove that McDonald’s workers are not what the media and public portray them to be. They are hard working, smart people who are committed to doing a hard job to make sure people can get the food they want. It is a company I am proud to have worked for and I am thankful for the experience. I know I haven’t touched much on the actual food itself, so take a look HERE at their menu complete with nutritional information. You can find out more about McDonald’s food HERE. Well done 👍🏻 Katie! I’m so proud of you! Mandy would be so very proud of you and what you’ve be come!